Popular entertainment channel Zee Tamil is all set to air a new serial titled 'Mullum Mallarum'.A love triangle like no other involving hard-working Dharmadurai, the charming Kalaiarasan and the beautiful Mahalakshmi, Mullum Malarum will be aired on weekdays starting 27th November between 6:30 and 7:00 PM. The story revolves around two brothers - Dharmadurai, an uneducated blue-collar worker who works relentlessly to improve the financial status of his family but is not taken seriously by his loved ones and his brother Kalaiarasan, an educated professional who is loved and respected by everyone around him. The show unfolds as the two brothers are in a quest for love and companionship. The twist in the plot is when the beautiful Mahalakshmi enters their lives. 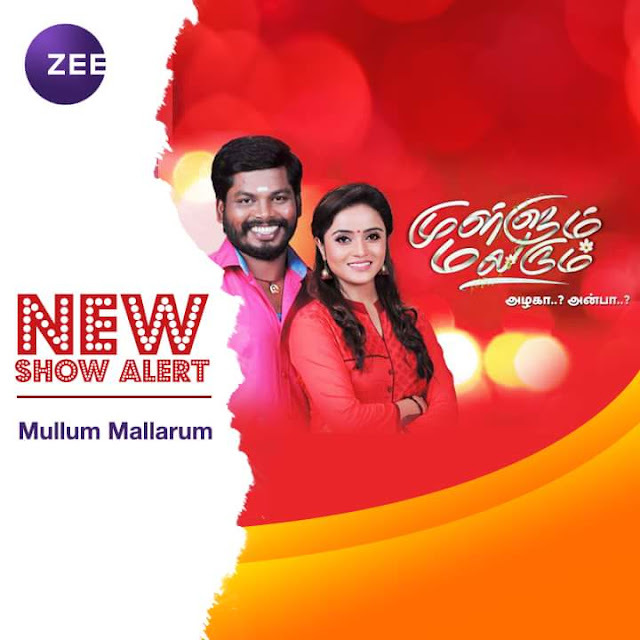 While Kalaiarasan and Mahalakshmi are engaged to be married, fate has other plans in place as Dharmadurai unknowingly comes in the way and this relationship comes to a bitter end.